The best AR Laser can take a novice and turn them into a straight shooter. It can take the fear and the debilitating adrenaline factor out of first and follow up shots in tactical, self defense and hunting scenarios. It can make range time a little more comfortable, enjoyable and accurate. A laser on a firearm doesn’t make you good at shooting, but it can positively alter the variables that can make you bad at shooting, and therefore, it has become a standard for tactical operators, elite law enforcement and even competition shooters all over the world. It is not a substitute for good training, practice and experience, but it can definitely be a game changing addition when the stakes are high, and failure is not an option. It doesn’t matter if those scenarios are in combat, defense, hunting or competition. In this article we will cover 9 lasers that are a good fit for the AR 15 and explain why they may or may not be the perfect fit for you. They are all top-quality lasers in their given price spectrums and are all great additions to your AR rifle, carbine or pistol. When will you use the laser the most and under what lighting? Red lasers and green lasers differ mostly because of the way the human eye and the entire visual input system of the brain and ocular components read light spectrum. Green is a color that the human eye has evolved for and was made to more easily attenuate to. Simply put, it will be easier for any human to pick up a green laser on a target. Period. That said, red lasers tend to be very good in lower light situations and green light tends to perform well in low light but thrive in daylight or bright scenarios. If you know how you will be shooting and it is mostly low light, choose red or green, with red being a good choice because of reduced cost and clear visuals. If you know you will be shooting in daylight or are using it for times where you will be under artificial lights that are bright, green light is the obvious choice. If you are unsure, you cannot go wrong opting for green, as it performs well in all conditions, but note, there will normally be a cost increase associated with the green lasers over the red. The Best laser for AR 15 rifles and carbines will be more about what the quality of manufacturer is, and what features are built in, more than it will be about red vs. green; of course, unless you are very defined by the type of light in your personal use case. LaserMax is a known brand with a good price point that always gets good reviews from user. The simplicity of the design and the easy to understand operation of the laser makes this a very nice option. 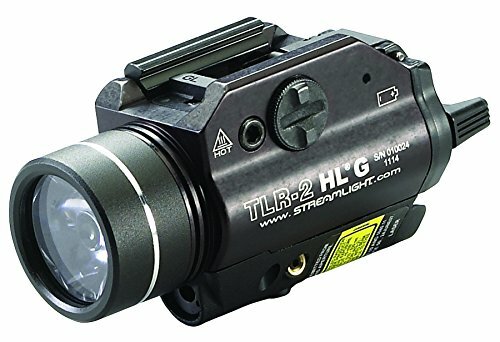 Simplicity combined with price point makes this a natural choice for those who are not using the laser for advanced tactical purposes, but instead, want an occasional laser, or something to assist at the range. The green light laser can be seen more easily in daylight and under artificial light. A simple cheap design that allows a good entry point into lasers for users that don’t need a very robust feature set. 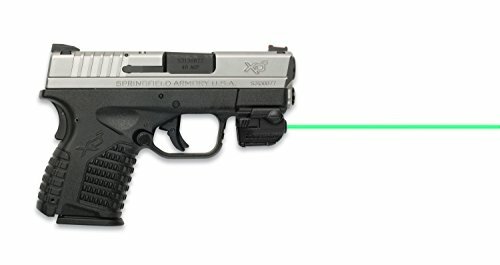 The compact design and green laser make the LaserMax seem more capable than it is feature wise and that’s a good thing. For the simplicity and ease of use this is a good option. Yes, it’s very cheap and somewhat cheaply made, but if you mount it properly and understand that it is not the high end models that have more durability, you can get a lot of very good use out of the Firefield Charge AR Red Laser & Light Combo unit. It’s not a premium model but for the new user, it’s a good foray into the world of lasers. The flashlight is a good additional benefit, especially given the low price of entry. An entry level device that has been proven to work well enough to be a good introduction to the genre. With lasers and durability and longevity, you get what you pay for, so you’ll need to be a bit more careful and secure the mounting with lock-tite or some other additional security to handle the potential of it falling off the mount. But for the money you pay, you get a lot out of the Firefield Charge AR Red Laser & Light Combo. LED LIGHT: 178 Lumens of bright CREE LED light blinds attackers. Use the 224 Lumen strobe mode to disorient. EASY ACTIVATION: Easily activate the world's brightest laser and/or LED light when drawn. No fumbling with buttons in critical situations. Ambi activation also available. BATTERY LIFE: 6+ hours constant laser, 10+ hours of pulsing laser runtime, 60 minutes tac laser and light. Includes one CR123A 3v lithium. UNIVERSAL MOUNTING SYSTEM: The modular rail set allows for quick mounting to virtually all railed handguns and rifles. 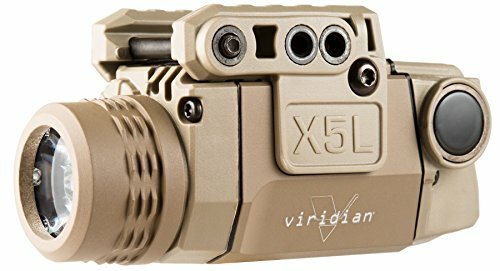 The Viridian Universal X5L-FDE Green Laser is a very nice option that starts to get into the legitimate build quality that is needed for a dedicated tactical laser. The green laser light and the added 224 strobe flashlight feature makes this a defensive powerhouse that helps the shooter make sense of complex personal protection or duty situations. A good combo unit, with a decent footprint that might be a bit bulky for some loadouts. For those consumers looking for more of a “PROSUMER” model, where they can access some of the professional quality durability and tactical feature set that a professional tactical user would desire, the Viridian Universal is a very good unit at a pretty good price point. WILL NOT FIT Rifles with a milled receiver. Utilizing a secure, individual wireless connection, LiNQ offers complete wireless control of the laser and light module. The replacement grip is ergonomically designed for quick activation and mode changes, eliminating the need to reach for the rifle's forend to operate. 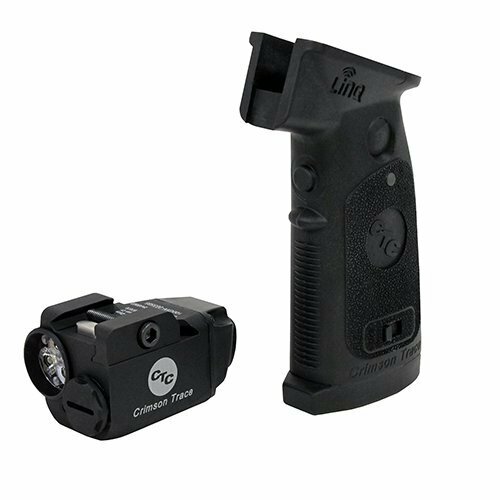 The Crimson Trace LINQ is a remote operation wireless unit that gives you control over the on/off and mode change functionality of the laser with your dominant shooting hand. The grip + laser unit combination allows infinite mounting options as long as you can use the grip. Crimson trace is a well-known, good brand from a quality and functionality perspective. A well-known brand option that adds more functionality than other competitors without a massive price increase. The Crimson Trace LINQ unit can be controlled by the dominant hand, so your secondary hand can be concentrating on the other things that need to be done in tactical or adrenaline filled scenarios. Robust quality and a green laser light for good overall utilization. 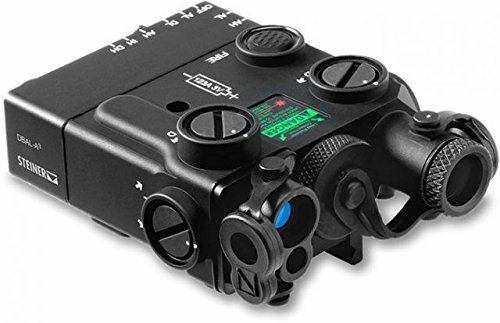 The Steiner eOptics Laser Devices Civilian Dual Beam Aiming Laser is the strongest feature set that is commercially available in the civilian market for the most part. This is a true professional quality unit that you will realize the second you need to count on it in a real life, life or death situation. However, the quality production and fit and finish of the unit will give a very good indicator upon opening the package that you have purchased a unit worthy of the money it cost. It is perhaps overkill for most civilians but has legitimate features that can be used for tactical duty operations for military and law enforcement personnel. Of all the laser units on the planet, this is among the highest quality device you can buy. This is not a civilian targeted model, it is made for people who need to rely on the advanced functionality of the unit for their welfare or as a military or law enforcement professional. That is not to say that a civilian cannot use the equipment and benefit greatly from it, but it has advanced functionality that most civilians will never use. 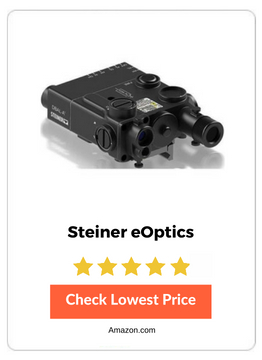 Steiner eOptics Laser Devices Civilian Dual Beam Aiming Laser is a very nice unit with a very high price tag to match. 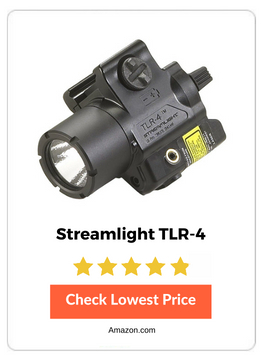 Streamlight is a proven brand, and this is a good way to get into their product line for a reasonable price point with a multi-functional unit that can do what most bigger, more expensive units do. The good functionality and the robust construction allows you to treat it like you treat the rest of your “working gear”. Be sure to bring extra batteries though. A good quality build and a lot of functionality for the money, this offers the types of features you can only get on units for twice the price. 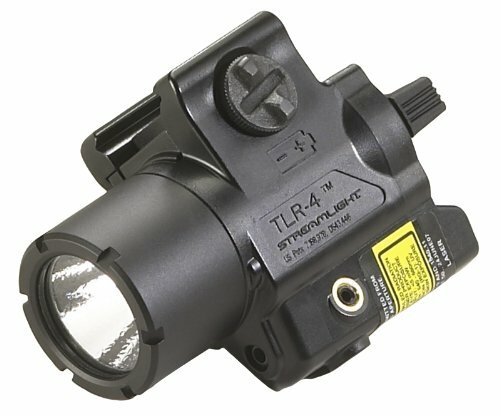 The Streamlight TLR-4 Tac Light with Laser represents good value for the money from a brand that knows what they are doing and this unit has a robust outer structure. A top-quality prosumer model that has all the features most consumers want without the stuff they will likely never use, and at a price that is still justifiable given the high-quality build and the brand history. Streamlight makes very good quality products and this laser/light combination offers the best of both worlds with a decent battery life and a low-profile design. You can get everything you want in this model for about half, or less than the legitimate, full-blown professional models that are available – as long as you don’t need the advanced functionality like IR specific functionality or dual laser aiming modules. 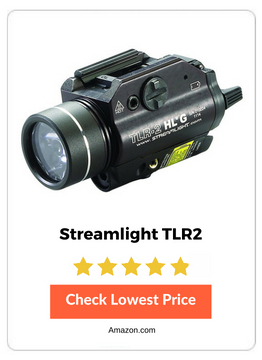 The Streamlight 69265 TLR-2 800 is a robust, well-built laser unit from a proven maker. TRUGLO has a good reputation, but this is a bit on the cheap side. That said it has some very good features and some very admirable design qualities, namely the compact, lightweight size. The red laser is significantly less expensive than the green laser (by about half), and that’s why it was chosen for this list. If you need an entry level laser, this is a very good option. 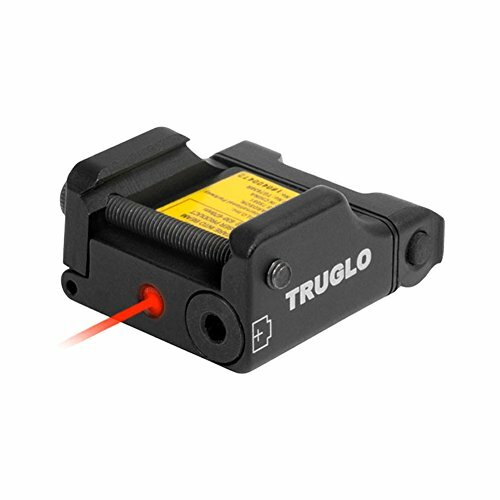 The TRUGLO is a cheap entry level model that helps you understand the utility of a laser device and will undoubtedly be a gateway purchase as you realize the benefits of having such a device. A good balance of low cost, sufficient power and nice looks with a relatively durable design, even if it is a bit blocky and large for the use case. The Sightmark is a good entry level device that offers decent functionality and looks good. The Sightmark is a good model for entry level use and can be more than enough for new uses to the laser device world. The design is fairly straightforward, and it doesn’t include unnecessary components. Generally, the output of the laser is mandated by the laser ratings which are a set-in stone specification by the governing body that oversees classification. There are no lasers available on the consumer shooting market which are not classified as 3A/IIIA or 3R. That is simply a fact. The overall reason for this, is that the amount of output needed for normal use will never exceed the limitations of the 3A/3R class and the danger of using such devices is extremely low for the user, and much lower than other higher classifications, for the target. The classification in the simplest terms means that the output of a specified laser must not exceed 5mW power output. Sure, there are differences in brightness and laser output, but generally, and more importantly the real difference is in the quality, accuracy and precision of the component parts that the laser as a whole is using. The underlying laser component AND the housing and adjustment system work in harmony to create an output that equates to more than the sum of all of the parts. You will find that higher end lasers that are better quality and have better output, but the underlying specific power output of the laser may be EXACTLY the same as the cheaper lasers. So direct specification of output will have a corresponding effect on brightness, but it is not a singular indicator of the total perceived brightness. Furthermore, the usefulness of the laser is not always directly correlated to the brightness of the laser on target. The definition of the laser and the size of the laser on target are also huge variables that can affect perceived brightness and can change the effectiveness of the laser. Sizing can be important for anyone who is using lasers. The physical size of the laser can affect a lot of things in the shooting process. Namely, maneuverability, sightline, ease of use and usefulness. Being able to move effectively is not just for elite military and law enforcement operators. 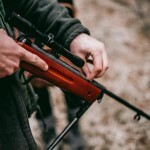 It’s also for people who hunt in dense forest, or target shooters who use a bench rest, or hikers who need to bring their firearm along with them. So, how large the physical implement is on your rifle/carbine will determine how maneuverable you are with it. Sometimes the physical size will affect the usefulness of the laser because it becomes a detriment when it is hanging out, with the potential to be knocked off, slammed into trees or otherwise affected by environmental concerns. The physical protection of the laser is more than just about buying one with a properly sealed and durable housing; it is also about how compact it is in relation to its position on your firearm. Furthermore, the design of the laser will affect the durability and protection that can be afforded a laser device, notwithstanding the physical sizing. The sight line is also affected by size, especially for those who also need to use iron sights or electronic sights or glass optics. You need a laser that is less obtrusive. This can also be a function of finding a different space to mount the laser on (like a separate rail or inside of another component). Generally, though, the smaller the laser, the easier it is to keep it out of the sight line. The more useful lasers will be part of a unit that acts as a total solution to sighting needs. Many lasers are combined in the same physical unit with a flashlight, either an IR or UV specific light or with a LED or other high output white light source. 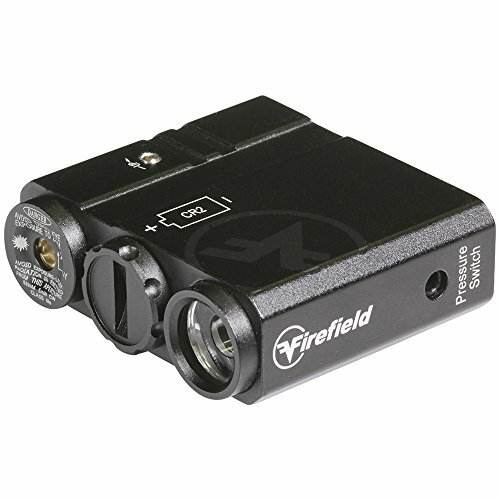 This type of unit can be very effective, because it places the power and actuation of the laser in the same space as the light and can give you more options when shooting, especially in a tactical or defensive scenario. 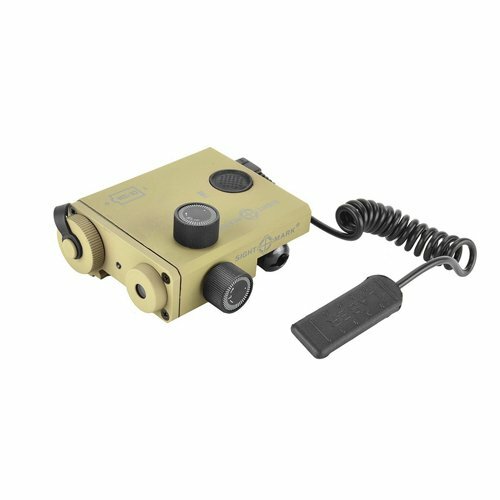 Remote switches can also be an important feature, for those who have complex AR 15 setups. They will allow a different mounting location for the laser and a tight tactical protocol, which doesn’t require a ton of time to think it through and can lead to better response times through enhanced muscle memory and practiced techniques. Adjustable beam size can be a huge feature as it allows you to more easily find your laser point of impact in difficult adrenaline filled scenarios like during hunts or tactical situations. Better quality lasers can allow for such adjustments, so you can change your point of impact indicator to a much larger radius if needed. IR pointers/IR illuminators can be very valuable for those using sophisticated tactical equipment to highlight objects in battle scenarios. But it can also be effective in many hunting scenarios too, hog hunting comes to mind quickly, as a situation that can benefit from a coordinated effort for those who have IR specific equipment and coordinate with their hunting partners. When looking for a laser for AR 15 rifles, it can be very important to understand the legitimate use case you have. Many times, judgement can be clouded by trying to get too good of a deal on one, or on the opposite end of the spectrum, by trying to get something you cannot reasonably expect to be able to use and then spending far too much on a laser device. The general rule of thumb is that you will get what you pay for and that is absolutely true – to an extent. There are excellent offerings on the market that can be purchased for very low prices, and they are durable, and relatively accurate, and plenty bright enough. But in the long term, it depends on how much you need to rely on that unit. The best units will be made by companies that have a history of producing top quality lasers and other products (if they manufacture more than just lasers); and reputation can go a long way in this market segment. The best lasers will be a combination of durability, usefulness, accuracy, and price, but the most important determinant of value is the precision and long-term capability of the item. Little things like battery life and shock proofing make a huge difference and for some, can mean the difference between budgeting $100 dollars for a laser device and $1100. Using a laser with an AR 15 is the fastest way to significantly improve your shooting accuracy. Be sure to read through the detailed reviews before making your purchase.